A third view of Brown, Boveri gas turbine locomotive no. 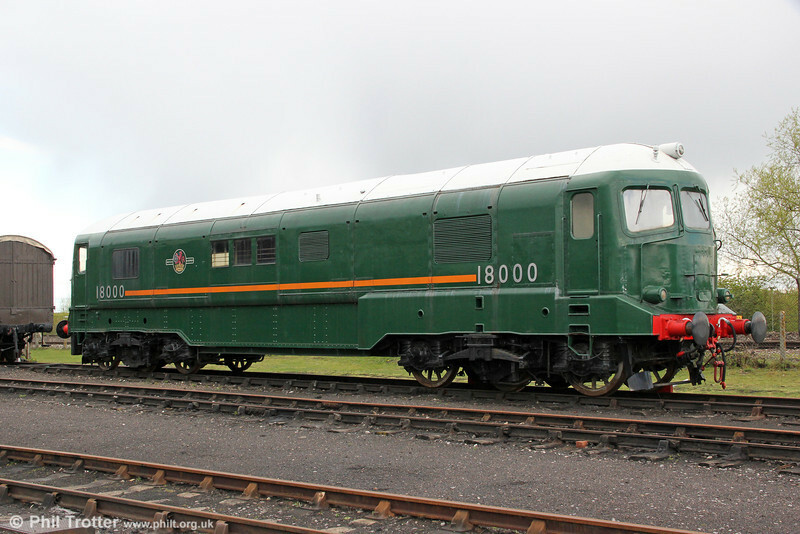 18000 on display at Didcot on 21st April 2012. During its time in service it received the nickname 'Kerosene Castle', something of a misnomer since it was designed to run on cheap heavy fuel oil of the type used in oil fired steam locomotives. 21st April 2012.